You probably wonder where the 'Skip' came from? Well, I was the first born and my mother, being a traditionalist, wanted me named after my father. Well he didn't especially think that was a great idea so they comprised. 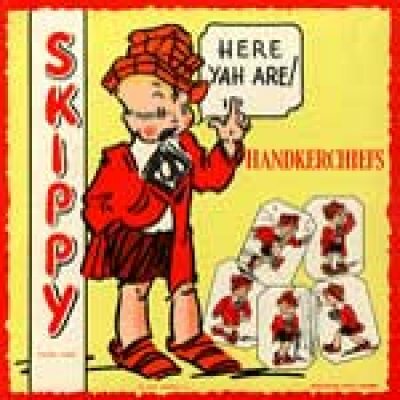 At the time (1946) there was a popular comic book character named 'SKIPPY' And the rest, as they say, is history! I was born in Chattanooga Tennessee, raised near Detroit Michigan, graduated from High School (Paul C. Schulte) and some college (Indiana State University) in Terry Haute Indiana, before moving to Houston Texas to graduate college (University of Houston). I was raised by two loving parents with three younger siblings. My life was pretty much 'normal' as far as any excitement goes. I did well in school, but not scholastically astounding. My focus was more on disposable income! I had paper routes or some other form of revenue producing activity since the age of 11. Although I went to Texas for the 'free' educational system; nothing in life is 'free'! I found I had to eat, sleep and otherwise tend to personal living items. This required housing and revenue; therefore I worked my way through college, graduating without any 'student loans' hanging over my head. My first 'real job' was with First City National Bank, in Houston Texas. There I discovered my love of technology and received my foundation computer training, on-the-job! For seven great years I worked at the bank while attending college (day and night classes; depending on work requirements). I found promotions by hard work, study and diligence. While I started as a 'tape monkey', I soon learned programming skills of assembler, Cobol and PL/I. I progressed from operations management into programming and systems management, while honing my technical skills. Upon graduation from the University of Houston, I became bored with banking, so migrated my career into garbage! Yes, garbage, with Browning-Ferris Industries; an early leader in waste management & recovery systems. After conquering the land fills, the recycling industry, financial systems and remote operations, I moved into Public Accounting. Some transition history isn't it? I spent some formative years with Peat, Marwick, Mitchell & Co. (now KPMG) as a consulting manager, learning presentation skills, project management, and how to eat with a proper set of silverware in a private club. It was all very illuminating! The politics and emphasis on client activities and billing rates/hours ceased to interest me, I wanted to return to my technology base. I spent several years with consulting companies, further learning marketing skills and expanding my technology understanding and competence. Along my path, I found myself working back in Detroit Michigan for Jimmy Hoffa's Teamsters! (He was already long gone and his concrete vault empty~!) Commuting each week from Houston to Detroit was tedious, but friendships with my consulting team partners made it seem like a pleasure excursion. Along the way, this cute blond at the Delta Crown Room caught my eye (and I hers it seems). One thing led to another and BAM!, I was married with a beautiful wife, Nancy, a wonderful daughter Nicole, a mother-in-law and two homes (along with dog, cat and bird!). It seemed like a good time to find a 'real job' as they say. Wondering what is was like back in the 'real world' of corporate employment, I accepted a position with The Limited in Columbus Ohio! It was a glorious position as Director of Corporate Systems Audit and Control for 14 divisions of this great company. Working for Mr. Robert H. Morosky, Vice Chairman, I was able to ferret out corporate inefficiencies, make recommendations for improvement and generally flit about where ever corporate trouble occurred. My excursions took me from Ohio, around the states (frequently in NYC) and the Far East. I learned about corporate systems, mergers & acquisitions (I was part of several corporate acquisition team endeavors), and how companies truly make a profit! After a time, this too paled; it was time for new adventures. Besides Detroit, Ohio and New York were COLD in the wintertime. It was time to move back South! I asked my daughter where in the South she would consider moving (she was 15!). Houston was experiencing a downturn in the late 1980's so that wasn't a viable choice. California was just too expensive! I suggested anything South of the Mason-Dixon Line; she picked Orlando (naturally as we had been to Disney World!). So we packed up and moved to the sunny South where I hung out my own shingle, incorporated as Management Systems Consulting, Inc. and went back to consulting as a road warrior! My lovely daughter Nicole, moved out, got married and now has seven children; making me a very PROUD Poppa! Nancy retired early from Delta Airlines and all is well! I now do a significant portion of my consulting work based out of my Orlando office. I am trying to develop more localized work to reduce the amount of travel so I can spend more time with my family. Along the way, I was diagnosed with prostate cancer (go figure!~ http://prostatecancerfight.com/). Yea, a real downer but an eye opener to the lousy state of traditional allopathic medicine in the USA (and elsewhere). As a net geek, my wife and I did all our due diligence on available treatments and modalities of addressing all cancers and prostate cancer specifically. ALL the traditional 'treatments' were bordering on barbaric, debilitating and crude procedures that seemed much worse than the disease. Our research uncovered a Holistic approach to disease and much of it dealt with diet and lifestyle. That I could and did do! Now many years past my diagnosis date (who knows how long it was coursing through my body) the oncologists said I would be dead in 3 to 5!. Yea D E A D. Now,not so much as I am healthier at 71 than I ever was at 35. Now healthier & more energetic than ever, we expanded our businesses to include many Health and Wellness activities. One thing nice about a sub-S corporation is that there are few limits of the type of businesses you can grow. We started 'Whole Foods 4 Healthy Living' which is a lifestyle training/educational/coaching business about Plant Based Lifestyle, eating and nutrition. Works for us! We also got involved with organic gardening as it directly relates to our Plant Based Lifestyle. Living in the suburbs there is not a lot of land to farm so we opted for raised beds and vertical farming. We also campaign against GMO contamination and control of our Planetary food supplies. We took some time off in 2012 to see the USA. We traveled for 43 days all across the Western USA in 2013 (avoiding California) and visited as many National Parks as we could. What an amazing adventure and continue our adventures, the Plant Based way across this wonderful Country of Ours. See: http://roadtrip.skipstein.com Now we take a few long trips and several shorter ones frequently; hiking in National and State parks and preserves. It is wondrous to see the Natural Beauty of our Wonderful Planet. This brings us pretty current. I now stay busy with company operations and try to balance IT consulting projects with my other business endeavors and always reserve quality family time. Instead of 'slowing down' things seem to always increase in tempo! Someone once told me that if you want something done; find a busy person to do it! Well, that's me! Busy! If you need an ERP system implemented, IT systems audited, or need to integrate EDI into your business processes, just give me a call. If you want information, advice or instruction on how to live a healthier lifestyle; let me know! Somehow, I will find a way to get er done! As I turned 71 in March of 2017, I decided to retire my Management Systems Consulting, Inc. company and just do IT Consulting on the site; if anyone asks. Actually not many want to hire a 71 year old IT Consultant who probably knows way more about business than the CEO/CFO of many companies. So I focus on helping people NOT get sick, but if they are, I help them REVERSE disease with simply delicious Plant Based FOODS. It is so easy, cheap and quick that most don't even believe me enough to TRY. A polymath (Greek: p???µa?? ?, polymathes, "having learned much," Latin: homo universalis, "universal man") is a person whose expertise spans a significant number of different subject areas—such a person is known to draw on complex bodies of knowledge to solve specific problems. It was a new one on me, but as I read the definition, I’ll be darned if I’m not one. My decades of experience in business systems and my recent years, almost a decade, focused on the Healthcare sphere with my lovely wife, Chef Nancy, has provided me with a true multi-faceted set of skills. As a result, combined with increased business activity (mostly due to the amazing accomplishments of President Trump), I’ve decided to step back into the Business Consulting World with my extensive background in Information Technology and combine that with my recent growth in the field of Whole Foods for Health & Wellness with a focus on Corporate Wellness Programs. Then there is my beautiful wife, wonderful daughter, terrific son-in-law, six grandsons and a princess of a granddaughter, but that is another story! Please explore the remainder of this site. Please contact me if you have need of my services, have a question, or just want to figure out 'how does he do it?'! You may find more useful information on the balance of this site or at HJS Enterprises. Please visit frequently!